Full Title: Hypnosis-induced mental training improves performance on the Fundamentals of Laparoscopic Surgery (FLS) simulator. BACKGROUND: Mental training (MT) is used extensively by musicians and athletes to improve their performance. Recently, it has been suggested as a training method for surgical trainees. We assessed the influence of MT, induced by hypnosis, on the performance of simulated tasks on a laparoscopic simulator, as compared to a non-specific relaxing intervention. METHODS: 11 surgeons completed a proficiency-based training program on the Fundamentals of Laparoscopic Surgery (FLS) simulator, until they reached performance plateau of the peg transfer task. Thereafter, they received a single music session, as a relaxing intervention, followed by repeating of the peg transfer task. Then they went through a hypnosis session guided by an experienced psychologist, with suggestions of smooth flow of pegs from one position on the board to another, and re-performed the task. RESULTS: Plateau performance was 51.1 ± 6.9 s. After the music session performance improved by 6.3 % to 47.9 ± 5.4 s (p = 0.86). After the MT session performance further improved by 15.3 % to 40.1 ± 5.8 s (p = 0.009), which was a 21.6 % improvement from baseline (p < 0.001). Subject's satisfaction from their performance, without knowledge of the task scores, was 6.0 ± 2.9 on 0-10 VAS after the music and reached as high as 8.5 ± 1.7 after the hypnotic session (p = 0.01). CONCLUSIONS: Hypnosis-induced MT significantly improves performance on the FLS simulator, which cannot be attributed to its relaxing qualities alone. This study contributes evidence to the effectiveness of MT in surgical skills acquisition and suggests that hypnotic techniques should be used in mental preparation processes. There is a need to further study these effects on operating room performance. Surg Endosc. 2014 Oct 11. Sroka G(1), Arnon Z, Laniado M, Schiff E, Matter I. Author information: (1)Department of General Surgery, Bnai-Zion Medical Center, 47 Golomb Street, Haifa, Israel, gideon.sroka@gmail.com. Full Title: The effectiveness of suggestive techniques in reducing postoperative side effects: a meta-analysis of randomized controlled trials. BACKGROUND: Suggestive interventions such as hypnosis and therapeutic suggestions are frequently used to alleviate surgical side effects; however, the effectiveness of therapeutic suggestion intervention has not yet been systematically evaluated. In the present study, we tested the hypotheses that (1) suggestive interventions are useful for reducing postoperative side effects; (2) therapeutic suggestions are comparable in effectiveness to hypnosis; (3) live presentation is more effective than recordings; and (4) suggestive interventions would be equally effective used in minor and major surgeries. METHODS: We performed random effect meta-analysis with meta-regression and sensitivity analysis by moderating factors on a pool of 26 studies meeting the inclusion criteria (N = 1890). Outcome variables were postoperative anxiety, pain intensity, pain medication requirement, and nausea. RESULTS: Suggestive interventions reduced postoperative anxiety (g = 0.40; 99% confidence interval [CI] = 0.13-0.66; P < 0.001) and pain intensity (g = 0.25; 99% CI = 0.00-0.50; P = 0.010), but did not significantly affect postoperative analgesic drug consumption (g = 0.16; 99% CI = -0.16 to 0.47; P = 0.202) and nausea (g = 0.38; 99% CI = -0.06 to 0.81; P = 0.026). No significant differences were found for intervention type, presentation method, and severity of surgery; however, sensitivity analysis only supported the effectiveness of hypnosis (g =0.62; 99% CI = 0.31-0.92; P < 0.001) and live presentation (g = 0.55; 99% CI =0.23-0.88; P < 0.001) for decreasing postoperative anxiety, and that of live presentation for alleviating postoperative pain (g = 0.44; 99% CI = 0.07-0.82; P = 0.002). Sensitivity analyses also suggested that suggestive interventions are only effective for decreasing pain intensity during minor surgical procedures (g = 0.39; 99% CI = 0.00-0.78; P = 0.009). CONCLUSIONS: Suggestive techniques might be useful tools to alleviate postoperative anxiety and pain; however, strength of the evidence is weak because of possible bias in the reviewed articles. The lack of access to within-subjects data and the overlap between moderator conditions also limit the scope of the analysis. More methodologically correct studies are required with sensitivity to moderating factors and to within-subjects changes. For clinical purposes, we advise the use of hypnosis with live presentation to reduce postoperative anxiety and pain, until convincing evidence is uncovered for the effectiveness of therapeutic suggestions and recorded presentation. Pain management with adjunct suggestive interventions is mostly encouraged in minor rather than major surgeries. Anesth Analg. 2014 Dec;119(6):1407-19. doi: 10.1213/ANE.0000000000000466. Kekecs Z(1), Nagy T, Varga K. Author information: (1)From the *Department of Affective Psychology, Faculty of Psychology and Education, Eötvös Loránd University, Budapest, Hungary; and †Faculty of Psychology and Education, Doctoral School of Psychology, Eötvös Loránd University, Budapest, Hungary. Full title: Reconditioning the stress response with hypnosis CD reduces the inflammatory cytokine IL-6 and influences resilience: a pilot study. This 12-week study sought to determine if a self-administered CD hypnosis would reduce inflammatory cytokine IL-6 and influence resilience. It involved 11 patients. Participants reported a decrease in negative appraisal coping using the CD. (Negative appraisal coping includes perfectionism, self-deprecating statements, and pessimistic thinking.) The conclusion was that through the by listening to the hypnosis CD, which also served as a stress reduction program, inflammation (IL-6) was affect as well as coping and resilience was improved. Relaxation strategies for patients during dermatologic surgery. Patient stress and anxiety are common preoperatively and during dermatologic procedures and surgeries. Stress and anxiety can occasionally interfere with performance of procedures or surgery and can induce hemodynamic instability, such as elevated blood pressure or syncope, as well as producing considerable discomfort for some patients. Detection of excess stress and anxiety in patients can allow the opportunity for corrective or palliative measures. Slower breathing, biofeedback, progressive muscular relaxation, guided imagery, hypnosis, meditation and music can help calm and rebalance the patient's autonomic nervous system and immune functioning. Handheld miniaturized heart rate variability biofeedback devices are now available. The relaxation response can easily be taught. Guided imagery can be recorded or live. Live rapid induction hypnosis followed by deepening and then self-guided imagery requires no experience on the part of the patient but does require training and experience on the part of a provider. 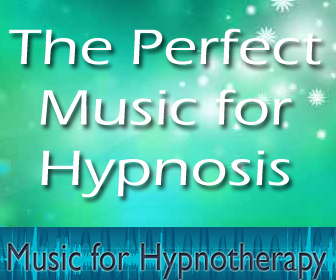 Recorded hypnosis inductions may also be used. Meditation generally requires more prior experience and training, but is useful when the patient already is skilled in it. Live, guided meditation or meditation recordings may be used. Relaxing recorded music from speakers or headphones or live performance music may also be employed to ease discomfort and improve the patient's attitude for dermatologic procedures and surgeries. Hypnosis as sole anesthesia for major surgeries: historical & contemporary perspectives. Hypnosis is a well validated treatment for acute and chronic pain (Montgomery, DuHamel, & Redd, 2000). It has been found capable of reducing inflammation, altering blood flow, and producing beneficial effects when hypnotic suggestions are provided during and prior to surgery (Frederick, 2001) and other painful medical procedures. This paper quotes extensively from historical examples of the use of hypnosis (mesmerism) as the sole anesthesia for major surgeries in the 1800's. These historic examples by themselves provide powerful documentation of the ability of the mind to influence the body, but they are then followed by a review of contemporary literature and controlled research on the use in hypnosis in relation to surgery and prior to medical procedures. Clinical hypnosis for reduction of atrial fibrillation after coronary artery bypass graft surgery. The belief that postoperative atrial fibrillation (PAF) results from transient autonomic dysfunction suggests that interventions such as clinical hypnosis may reduce the incidence of PAF. To explore this hypothesis, we retrospectively compared outcomes between two groups of patients undergoing coronary artery bypass graft surgery: 50 consecutive patients who received preoperative hypnoidal explanation of the surgical procedure and 50 case-matched historical controls who received no clinical hypnosis. The patients who received hypnosis were significantly less likely to experience an episode of PAF (P = .003) and showed nonsignificant trends toward superior outcomes in terms of length of stay, narcotic use, and total hospital charges. Our findings indicate that prospective randomized trials are warranted to further delineate the potential benefit of clinical hypnosis for prevention of PAF. The effects of prayer, relaxation technique during general anesthesia on recovery outcomes. During general anesthesia the possibility of subconscious perception of intraoperative events is a controversial subject. Some studies found that positive verbal suggestions, or music improved intraoperative relaxation and postoperative recovery. The aim of the current study was to evaluate the effect of prayer and relaxation technique applied while patients are under general anesthesia for open-heart surgery. A randomized, controlled, double-blind trial study included 78 patients who underwent cardiac surgery. During the surgery the patients used a headphone connected to a CD player. They were randomly divided into three groups. One group listened to prayer during the surgery, the other listened to relaxation technique and one, placebo. There was only one significant finding: the prayer group is less likely to believe that prayer would assist conventional medical treatments. Although not statistically significant, we discussed the length of stay (LOS) after surgery and the incidence of sternal wound infection. A brief hypnosis intervention to control side effects in breast surgery. Breast cancer surgery is associated with side effects, including postsurgical pain, nausea, and fatigue. We carried out a randomized clinical trial to test the hypotheses that a brief presurgery hypnosis intervention would decrease intraoperative anesthesia and analgesic use and side effects associated with breast cancer surgery and that it would be cost effective. METHODS: We randomly assigned 200 patients who were scheduled to undergo excisional breast biopsy or lumpectomy (mean age 48.5 years) to a 15-minute presurgery hypnosis session conducted by a psychologist or nondirective empathic listening (attention control). Patients were not blinded to group assignment. Intraoperative anesthesia use (i.e., of the analgesics lidocaine and fentanyl and the sedatives propofol and midazolam) was assessed. Patient-reported pain and other side effects as measured on a visual analog scale (0-100) were assessed at discharge, as was use of analgesics in the recovery room. Institutional costs and time in the operating room were assessed via chart review. RESULTS: Patients in the hypnosis group required less propofol (means = 64.01 versus 96.64 microg; difference = 32.63; 95% confidence interval [CI] = 3.95 to 61.30) and lidocaine (means = 24.23 versus 31.09 mL; difference = 6.86; 95% CI = 3.05 to 10.68) than patients in the control group. Patients in the hypnosis group also reported less pain intensity (means = 22.43 versus 47.83; difference = 25.40; 95% CI = 17.56 to 33.25), pain unpleasantness (means = 21.19 versus 39.05; difference = 17.86; 95% CI = 9.92 to 25.80), nausea (means = 6.57 versus 25.49; difference = 18.92; 95% CI = 12.98 to 24.87), fatigue (means = 29.47 versus 54.20; difference = 24.73; 95% CI = 16.64 to 32.83), discomfort (means = 23.01 versus 43.20; difference = 20.19; 95% CI = 12.36 to 28.02), and emotional upset (means = 8.67 versus 33.46; difference = 24.79; 95% CI = 18.56 to 31.03). No statistically significant differences were seen in the use of fentanyl, midazolam, or recovery room analgesics. Institutional costs for surgical breast cancer procedures were $8561 per patient at Mount Sinai School of Medicine. Patients in the hypnosis group cost the institution $772.71 less per patient than those in the control group (95% CI = 75.10 to 1469.89), mainly due to reduced surgical time. CONCLUSIONS: Hypnosis was superior to attention control regarding propofol and lidocaine use; pain, nausea, fatigue, discomfort, and emotional upset at discharge; and institutional cost. Overall, the present data support the use of hypnosis with breast cancer surgery patients. Preoperative hypnotherapy in the management of a child with anticipatory nausea and vomiting. A six-year-old boy with oesophageal strictures secondary to neonatal repair of oesophageal atresia and requiring six to eight weekly oesophageal dilatations by bouginage developed anticipatory nausea and vomiting. This was effectively managed by a course of preoperative hypnotherapy over four sessions. Resolution of anticipatory nausea and vomiting occurred along with cessation of postoperative nausea and vomiting. This case supports early intervention with preoperative hypnotherapy in children with anticipatory nausea and vomiting that has not responded to other measures. Anaesth Intensive Care. 2007 Oct;35(5):784-7. Mackenzie A, Frawley GP. Department of Paediatric Anaesthesia and Pain Management, Royal Children's Hospital, Melbourne, Victoria, Australia. Hypnosis to alleviate perioperative anxiety and stress: a journey to challenge ideas. Mention the possibility of surgery to a patient and most will react with a feeling of apprehension at best. Some will be horrified at the mere thought of being 'cut open'. For others, it will be the suggestion of entering a hospital for anything longer than an out patient appointment. Newspaper reports of healthcare-acquired infections (HAIs) may spring to mind: 'Will I leave with more than I came in for? '; 'What if it goes wrong? '; 'Who will look after the family?'. All this worrying leads to increased anxiety and stress, and the patient has not even been put on the waiting list yet, let alone been admitted. J Perioper Pract. 2008 Jan;18(1):14-6. Fern PA. Day Surgery Unit, Royal Wolverhampton NHS Trust. Evidence-based clinical hypnosis for obstetrics, labor and delivery, and preterm labor. Int J Clin Exp Hypn. 2007 Jul;55(3):355-71. Brown DC, Hammond DC. Private Practice. hali, Nova Scotia. Canada. This paper reviews the benefits and effectiveness of hypnosis in obstetrics and labor and delivery, demonstrating significant reductions in the use of analgesics and anesthesia and in shorter Stages 1 and 2 labors. It presents empirical and theoretical rationales for use of hypnosis in preterm labor (PTL) and labor and delivery at term. The benefits of hypnosis in relation to labor length, pain levels, and the enjoyment of labor, as well as its effectiveness in preterm labor are noted in randomized controlled trials and in a meta-analysis. Risk factors are reported for preterm delivery; hypnosis significantly prolongs pregnancy. 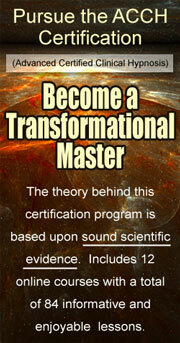 Six cases are presented of hypnosis stopping PTL a number of times and when indicated at term. A case report of successful use of hypnosis in quadruplets is presented with some scripts. Suggestions are made for further research. Hypnosis for acute distress management during medical procedures. Int J Clin Exp Hypn. 2007 Jul;55(3):303-17. Flory N, Salazar GM, Lang EV. Beth Israel Deaconess Medical Center - Harvard Medical School. Boston, Massachusetts. USA. The use of hypnosis during medical procedures has a long-standing tradition but has been struggling for acceptance into the mainstream. In recent years, several randomized-controlled trials with sufficient participant numbers have demonstrated the efficacy of hypnosis in the perioperative domain. With the advancements of minimally invasive high-tech procedures during which the patient remains conscious, hypnotic adjuncts have found many applications. This article describes the procedural environment as well as pharmacologic and nonpharmacologic interventions to reduce distress. Current research findings, controversies in the literature, and safety considerations are reviewed. Implications for clinical practice and training as well as directions for future research are discussed. Obstacles and possible reasons for the slow acceptance of nonpharmacologic interventions, mind-body therapies, and patient-centered approaches are addressed. Effective anxiety treatment prior to diagnostic cardiac catheterization. Music therapy, massage, guided imagery, therapeutic touch, and stress management instruction have been used successfully to decrease patient anxiety prior to diagnostic cardiac catheterization, providing better patient outcomes. The anxiety experienced among patients may have various causes, including not feeling cared about as an individual, too much waiting time before the procedure begins, and physical discomfort. This review determines nursing interventions that may effectively reduce anxiety prior to diagnostic cardiac catheterization. Effect of a balanced anaesthetic technique using desflurane and remifentanil on surgical conditions. OBJECTIVES: Controlled hypotension is used to improve surgical conditions during microscopic and endoscopic sinus surgery. Several drug combinations are suitable to provide deep and predictable level of anaesthesia combined with an exact control of intraoperative blood pressure. However, only little is known about the relative importance of the level of hypnosis on the one hand and analgesia on the other hand. STUDY DESIGN: Prospective, randomized, patient and observer-blinded study. METHODS: All 100 consecutive patients received a balanced anaesthesia technique using desflurane and remifentanil. Anaesthesia was desflurane-accentuated with remifentanil-supplementation (DARS-group: 1 MAC desflurane; remifentanil: 0.2 microg x kg(-1) x min(-1)) or remifentanil-accentuated with desflurane-supplementation (RADS-group: desflurane: 0.5 MAC; remifentanil: 0.4 microg x kg(-1) x min(-1)). Administration of anaesthetics performed to maintain a sufficient level of anaesthesia and to keep mean arterial pressure between 60 and 70 mmHg (8-9.3 hPa). The attending ENT-surgeons were unaware of the type of anaesthesia and rated general surgical conditions and the dryness of the operating site on a visual analogue scale (0-10 cm) and on a verbal rating scale immediately after surgery. RESULTS: Blood pressure and heart rate was not different between the two groups. Dryness of the operating site was rated significantly better (p < 0.0001) in the DARS-group (median; 25th/75th-percentile: 2.0; 1.5-3.5 vs. RADS-group: 2.6; 2.0-4.0) but the overall rating of the surgical conditions did not differ between the groups (DARS-group: 2.0; 1.0-2.4 vs. RADS-group: 2.2; 1.5-3.2). Immediate postoperative recovery times were increased in the RADS-group, but there was no difference with respect to fit-for-discharge criteria one hour after surgery. CONCLUSION: Balanced anaesthesia using high dose of desflurane offers small but statistically significant advantages with respect to dryness of the operating site compared to an opioid-accentuated anaesthesia technique. However, since the opioid-accentuated anaesthetic group had a faster immediate recovery both techniques are equally effective for microscopic and endoscopic sinus surgery. Perioperative hypnosis reduces hospitalization in patients undergoing the Nuss procedure. To assess whether perioperative hypnosis can reduce the length of hospitalization and alter the need for postoperative analgesics in patients undergoing the Nuss procedure. Ten consecutive patients (age range, 12-18 years) underwent the Nuss procedure with the same operative technique. For pain management they were divided into two sequential groups: the 5 patients in the nonhypnosis group were managed with an epidural catheter, and analgesia was supplemented with intravenous or oral narcotics as requested. These patients all required Foley catheters for bladder drainage while the epidural was in place. The second group of 5 patients was prepared by teaching them self-hypnosis for postoperative pain management in one or two brief sessions. Postoperative self-hypnosis was prescribed and encouraged. These patients were allowed patient controlled analgesia and were supplemented with intravenous or oral narcotics as requested. Four of the patients in this group required a straight catheterization of the bladder the evening of surgery. Data collected included hospitalization and analgesia requirements as well as other unusual findings.The patients in the hypnosis group spend an average of 2.8 days in the hospital compared with 4.6 days in the nonhypnosis group (p < 0.01). There was also a trend toward less parenteral narcotic use. Postoperative discomfort was better controlled with oral analgesics in the hypnosis group. There were no adverse effects from the hypnosis. In this small study, perioperative hypnosis was associated with a reduced hospital stay in patients undergoing the Nuss procedure for pectus excavatum. Surgeons have conducted placebo-controlled double-blind investigations to determine the value of surgical procedures by comparing the results of real operations with sham operations. The sham operation served as a placebo control, permitting analysis of the alleged benefit of the real operation by eliminating the effect caused by the rest of the surgical experience. A modern operation starts with a series of events resembling ritualistic practices used by shamans. Shamans are traditional healers in cultures that believe communication with the gods and spirits influences health and well being. Shamanistic healing measures include: journeying to a healing place, fasting, wearing ritual garb, ingesting psychotrophic substances, anointment with purifying liquid, an encounter with a masked healer, and inhaling stupefactive vapors. These steps are followed by a central ritual activity that may include extracorporeal, surface, and penetrative components. Postoperative ritual activities reinforce the suggestive value of the healing. These experiences increase a patient's suggestibility, thereby enhancing the likelihood of a favorable outcome. Any research on the effectiveness of surgical procedures, especially those designed to relieve pain, must consider the strongly suggestive effect of the elaborate perioperative ritual. Henry Dreher's superb summary of research with mind-body interventions for surgery appears in the Fetzer Institute's Advances in Mind-Body Medicine, Vol 14, no.3, Summer 1998, pp. 207-222. His discussion of Henry Bennett's placebo controlled, double blinded research with 4 audio interventions on 335 surgery patients establishes that the Health Journeys tape for Surgery was the only tape that offered statistically significant results. In a randomized clinical trial at The Ruttenberg Cancer Center, Mount Sinai School of Medicine, to determine if brief presurgical hypnosis on breast biopsy patients helps with postsurgery pain and distress, 20 biopsy patients were randomly assigned to a hypnosis or control group (standard care). The study found that the brief hypnosis did reduce postsurgery pain and Distress and suggested that presurgery expectations influenced and mediated this outcome. Investigators at Cincinnati Children's Hospital Medical Center conducted a randomized, controlled, clinical trial investigating the effectiveness of imagery, in addition to routine analgesics, in reducing tonsillectomy and/or adenoidectomy pain and anxiety after ambulatory surgery (AS) and at home. Surgical treatment of diseases of the oral and maxillofacial region under local anaesthesia is quite commonly restricted by limited patient compliance. 'Medical Hypnosis' could be an alternative to treatment under pharmacological sedation. With this method, both autosuggestive and other suggestive procedures are used for anxiolysis, relaxation, sedation and analgesia of the patient. Researchers from the University of Minnesota find that an eight-week Mindfulness-Based Stress Reduction training program, combined with Hatha Yoga practice, improved sleep and mental health for solid organ transplant recipients, after 6 months. Well, the data is finally in from the long-awaited MANTRA prayer study at Duke University's Clinical Research Institute. Cardiologist and principal investigator Mitch Krucoff reported disappointing results from his randomized, controlled, multi-centered pilot study that compared intercessory prayer with a combination of music, imagery and touch (MIT) therapies, and standard care. The earlier study that inspired this one had suggested that prayer created more positive outcomes in heart surgery patients; and certainly Henry Bennett's study with imagery and Elvira Lang's with hypnosis showed significant results on surgical outcomes. In contrast to hypnosis, there is no surrogate parameter for analgesia in anesthetized patients. Opioids are titrated to suppress blood pressure response to noxious stimulation. The authors evaluated a novel model predictive controller for closed-loop administration of alfentanil using mean arterial blood pressure and predicted plasma alfentanil concentration (Cp Alf) as input parameters. METHODS: The authors studied 13 healthy patients scheduled to undergo minor lumbar and cervical spine surgery. After induction with propofol, alfentanil, and mivacurium and tracheal intubation, isoflurane was titrated to maintain the Bispectral Index at 55 (+/- 5), and the alfentanil administration was switched from manual to closed-loop control. The controller adjusted the alfentanil infusion rate to maintain the mean arterial blood pressure near the set-point (70 mmHg) while minimizing the Cp Alf toward the set-point plasma alfentanil concentration (Cp Alfref) (100 ng/ml). RESULTS: Two patients were excluded because of loss of arterial pressure signal and protocol violation. The alfentanil infusion was closed-loop controlled for a mean (SD) of 98.9 (1.5)% of presurgery time and 95.5 (4.3)% of surgery time. The mean (SD) end-tidal isoflurane concentrations were 0.78 (0.1) and 0.86 (0.1) vol%, the Cp Alf values were 122 (35) and 181 (58) ng/ml, and the Bispectral Index values were 51 (9) and 52 (4) before surgery and during surgery, respectively. The mean (SD) absolute deviations of mean arterial blood pressure were 7.6 (2.6) and 10.0 (4.2) mmHg (P = 0.262), and the median performance error, median absolute performance error, and wobble were 4.2 (6.2) and 8.8 (9.4)% (P = 0.002), 7.9 (3.8) and 11.8 (6.3)% (P = 0.129), and 14.5 (8.4) and 5.7 (1.2)% (P = 0.002) before surgery and during surgery, respectively. A post hoc simulation showed that the Cp Alfref decreased the predicted Cp Alf compared with mean arterial blood pressure alone. CONCLUSION: The authors' controller has a similar set-point precision as previous hypnotic controllers and provides adequate alfentanil dosing during surgery. It may help to standardize opioid dosing in research and may be a further step toward a multiple input-multiple output controller. In this study we examined the effect of hypnosis on preoperative anxiety. Subjects were randomized into 3 groups, a hypnosis group (n = 26) who received suggestions of well-being; an attention-control group (n = 26) who received attentive listening and support without any specific hypnotic suggestions and a "standard of care" control group (n = 24). Anxiety was measured pre- and postintervention as well as on entrance to the operating rooms. We found that patients in the hypnosis group were significantly less anxious postintervention as compared with patients in the attention-control group and the control group (31 +/- 8 versus 37 +/- 9 versus 41 +/- 11, analysis of variance, P = 0.008). Moreover, on entrance to the operating rooms, the hypnosis group reported a significant decrease of 56% in their anxiety level whereas the attention-control group reported an increase of 10% in anxiety and the control group reported an increase of 47% in their anxiety (P = 0.001). In conclusion, we found that hypnosis significantly alleviates preoperative anxiety. Future studies are indicated to examine the effects of preoperative hypnosis on postoperative outcomes.